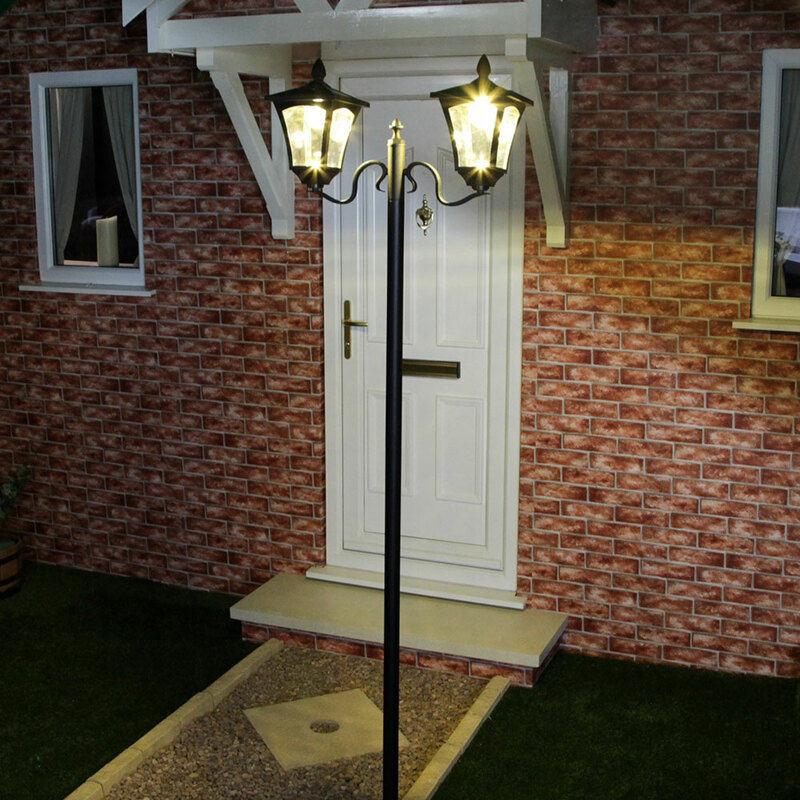 This black, twin head solar lamp post light stands 2.1 metres tall, and is an elegant and modern choice for sprucing up the areas surrounding your home. With the stylish twin-headed feature, it holds 12 LED bulbs ( 6 LED per Light), in either white or warm white, and has fantastic durability in all weather conditions. This is due to it being manufactured to a high standard from aluminium and polypropylene.